There is nothing fun about getting teeth as an adult, our twenties is usually the time when wisdom teeth start to appear often causing discomfort in the mouth. Some people are lucky and manage to escape the pain of them coming through for others however it can be a truly miserable process. For a lot of us, there simply is not the room for four extra teeth in the mouth which is why removal of wisdom teeth is a fairly common procedure. When the teeth start to come through the pain level can vary there can be anything from a small ache in the area to pain along the jaw and face. The pain is due to insufficient room for the tooth to break through cleanly. In some cases, the tooth may not come in straight and can hit another tooth. The pain when the tooth comes through is usually tempory and is easily treated with painkillers. However, if it is persistent see your dentist as soon as possible. If there is insufficient room in the mouth for the tooth to erupt which can be caused by the alignment of the tooth, it may come up part of the way then stop. The gum may then grow over the top trapping bacteria which can easily lead to infection. Pain can also be caused by the misaligned tooth hitting the second molars. We understand that there is nothing worse than the dull pain of a toothache! 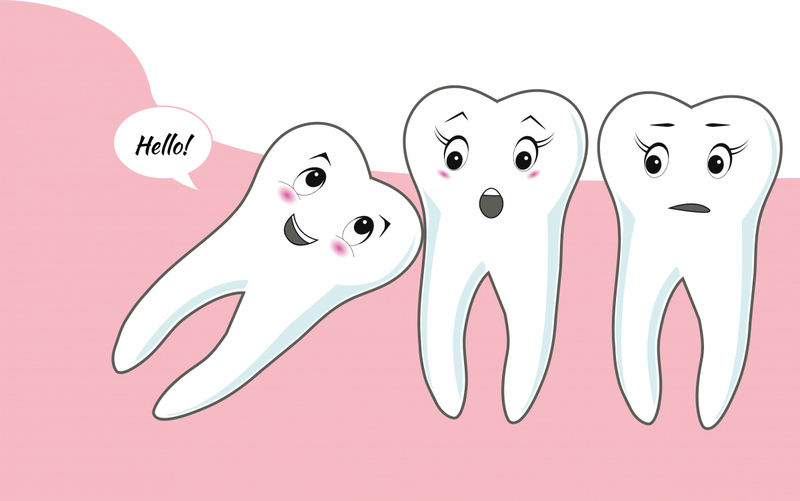 If you have a partially exposed wisdom tooth regular check-ups are also vital. Decay can easily build up as this area is harder to clean. There are a number of reasons you may get your wisdom teeth removed. It could be due to extreme pain, repeated infections or severe decay. The tooth may also be removed as a preventative method. During the procedure, you will have an anaesthetic so the pain will be minimal. Our extended opening hours are here for your convenience. Do not let a toothache impact your working day. We are open 8am-8pm!